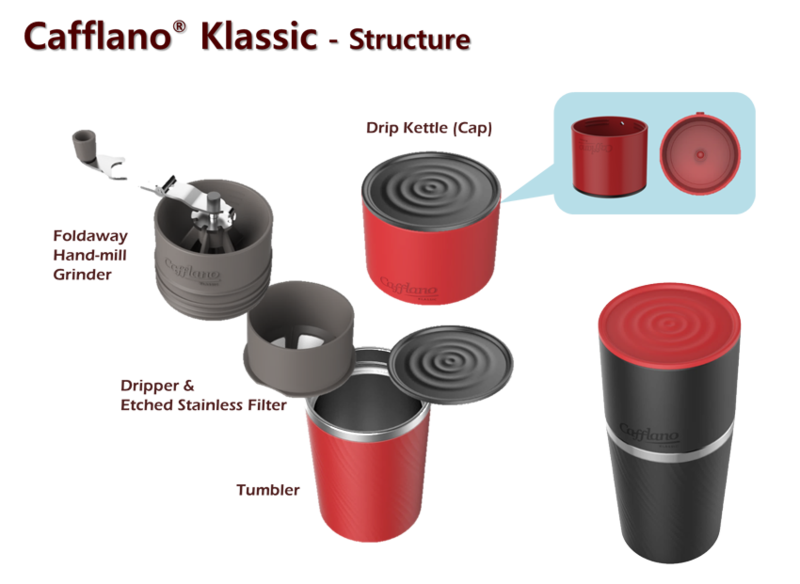 Cafflano® Klassic is the world’s first portable pour-over coffee maker reflecting an all-in-one design. 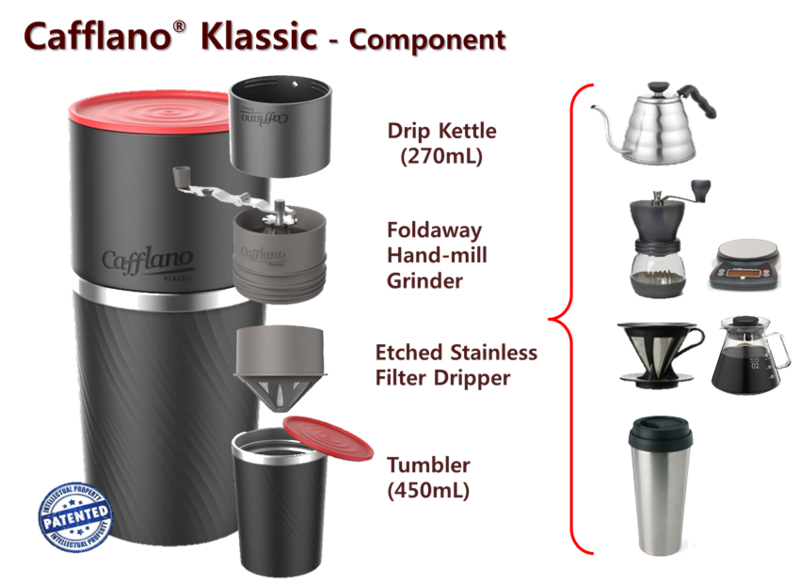 Cafflano® Klassic is affordable and its light weight ensures maximum portability, removing hassle of packing. It consists of a coffee grinder that has a foldaway conical burr ceramic hand-mill, a dripping kettle, dripper, server, etched stainless filter and tumbler, and all of those components are integrated into a single assembling unit. Wherever you are, with Cafflano® Klassic, whole beans and hot water, you can easily and conveniently make fresh and tasty coffee of your own. The best way to have great coffee is to grind freshly roasted beans and brew right before you enjoy it; and Cafflano® Klassic is the one that enables it. It is neither battery-operated nor needs electricity, but totally environment-conscious with its permanent etched stainless filter.